Samantha Carr is originally from a little town outside of Kansas City called Lawson. 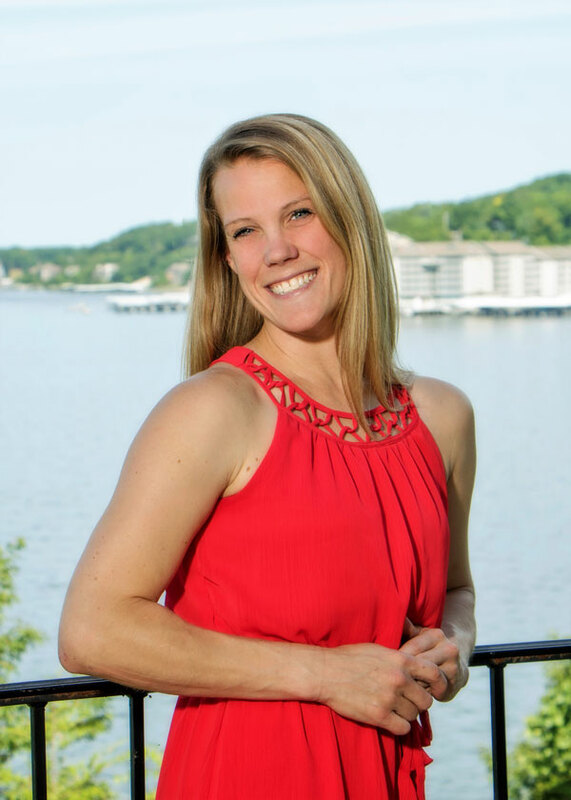 She attended college in Trenton, finished her degree from Columbia College at the Lake of the Ozarks, and obtained an MBA in Accounting from William Woods University in Fulton. After finishing college, Samantha decided to relocate to the Lake of the Ozarks. Samantha and her family had moved a couple of places since then, but because it’s like a little city in the summertime, yet so peaceful and beautiful in the winter and early spring, they were always drawn back to the Lake of the Ozarks. Although Samantha went to college and received a degree in Accounting, a career in financing was not always her dream. When she was little her big dream was to be an NBA superstar! She loved playing basketball and always played with the boys, so being in the WNBA just wasn’t an option in her mind. Her love for basketball followed her into college, where she played on a college level at Trenton. She was such a rockstar in her academics that she was awarded Academic All-American status because she maintained A’s and played ball through her college years! One thing that Samantha had been considering for a while was to become a real estate agent. However, with an MBA in Accounting, she felt that it would be best to stay in the finance field. It wasn’t until the opportunity arose to work with Team Andy Gibson as the Listing Coordinator that she decided to make the leap into real estate. In becoming involved in the industry, she’s finding that her background in financing plays a significant role in different parts of real estate. Therefore, her finance background and her knowledge of the Lake area will be very beneficial to her transition into the real estate industry. When not at work, Samantha’s favorite thing to do with her free time is to play with her two children. She describes her children as the most important pieces of her life. Kora, her two-year-old daughter, is the most outgoing, free spirit she knows; while her three-year-old son, Kaiden, is quite reserved but loves playing sports like his mom. Samantha enjoys taking them to the park and on walks. Staying active and having fun is a very important goal for the family.